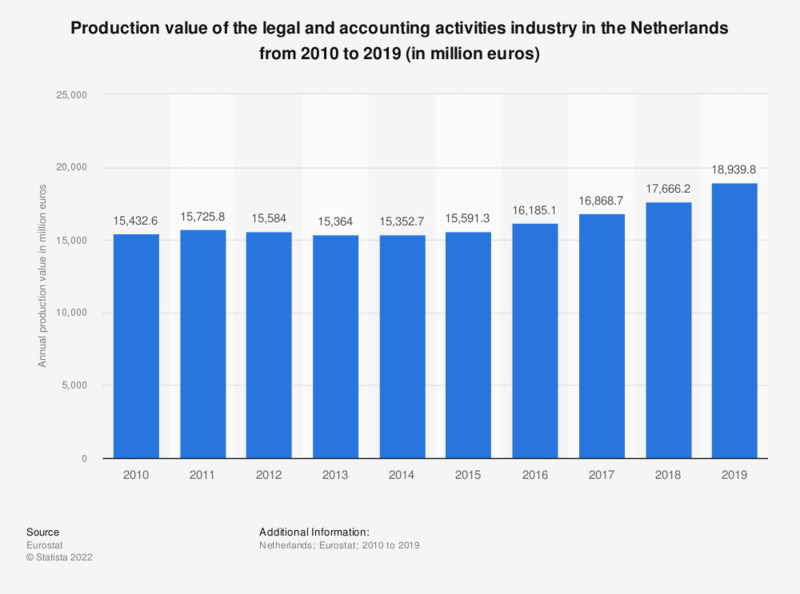 This statistic shows the production value of the legal and accounting activities industry in Netherlands from 2008 to 2016. In 2016, the production value of the legal and accounting activities industry came to approximately 16.19 billion euros. Data coverage corresponds to code M69 of NACE Rev 2. Statistics on "Legal services in the United Kingdom (UK)"